When faced with the mystery of an unknown object there are many aspects to consider including, color, form, decoration, and material. 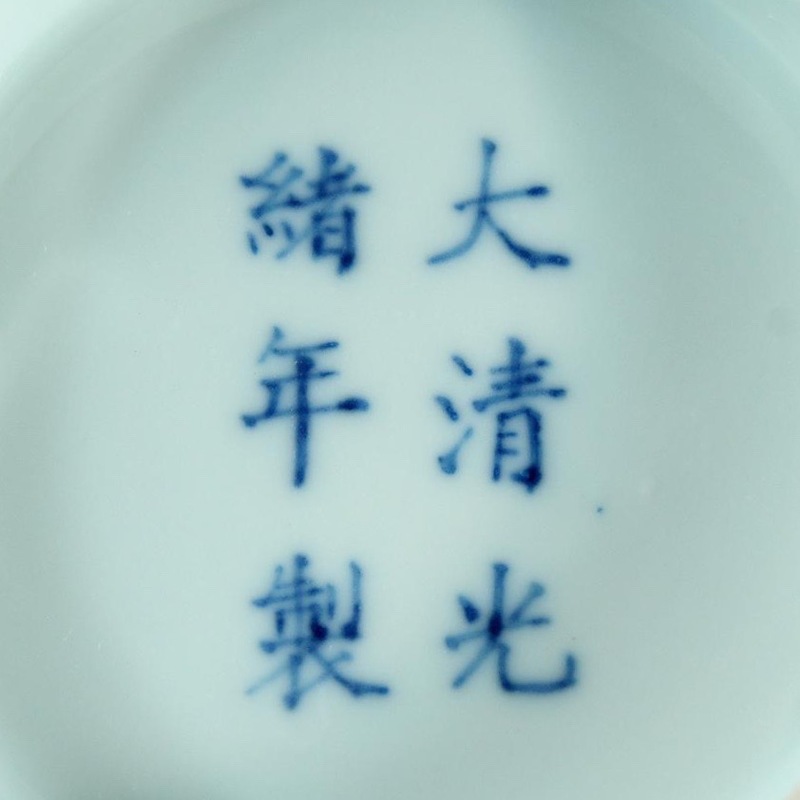 Assessing the age, authenticity, and ultimately the value of a piece of Chinese porcelain can be as simple as a glance or take months of study. Learning the different cues and clues that can help identify a piece takes time and effort. 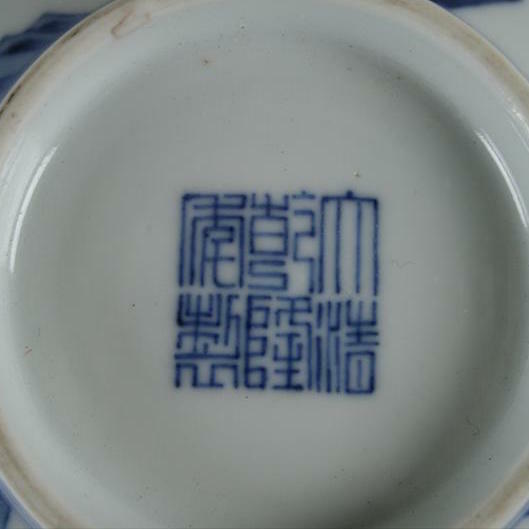 The best way to learn about any pieces including Chinese wares is to study them in person. 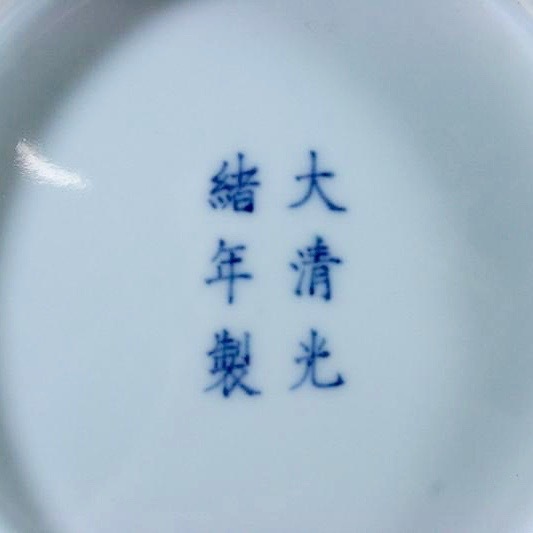 To learn the most from handling real objects it is necessary to also conduct personal studies of historic, aesthetic, and functional factors surrounding the production of porcelain. 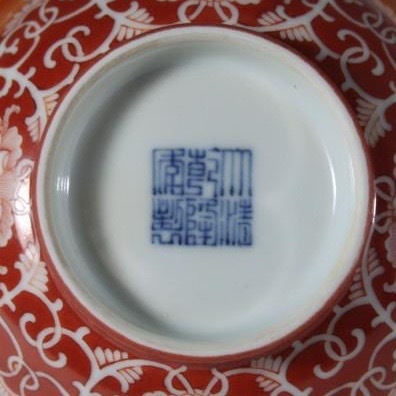 Chinese porcelain marks come in many different forms. 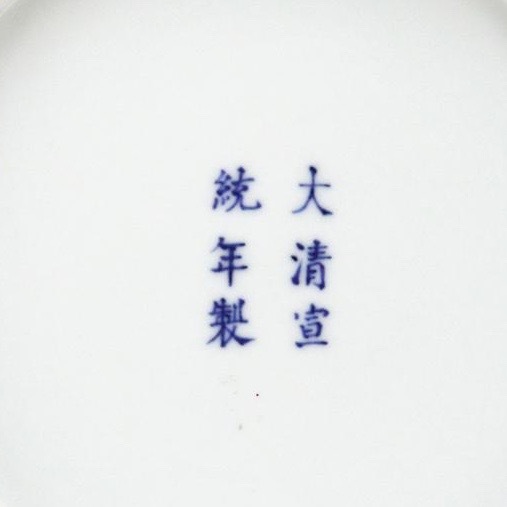 Many marks are honorific, looking back to an earlier period in Chinese porcelain production that at the time was viewed as more desirable. 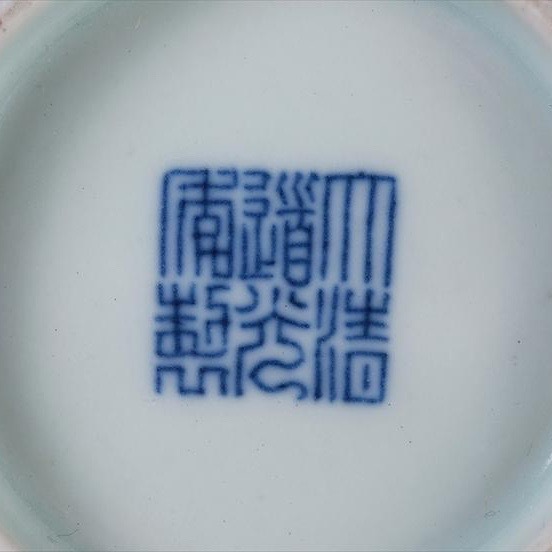 Marks on Chinese porcelain pieces most commonly display the dynasty and the reign during its time of production. 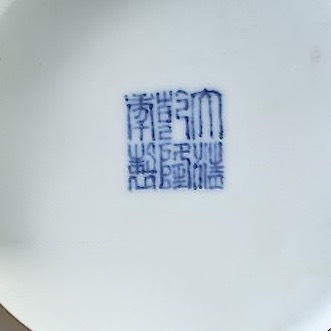 For example, this Qianlong mark of the period reads Da大, great; Qing 清, Qing (dynasty); Qianlong乾隆，reign (emperor); Nian年, year or period; Zhi制, produced. The third emperor of the Qing Dynasty and the first of the Manchu emperors to rule over all of China, Shunzhi was the son of Hong Taiji and the Grandson of Nurhaci. At 61 years, Kangxi holds the title of the longest reigning emperor in Chinese history. Wealth and power are two words that describe this reign. 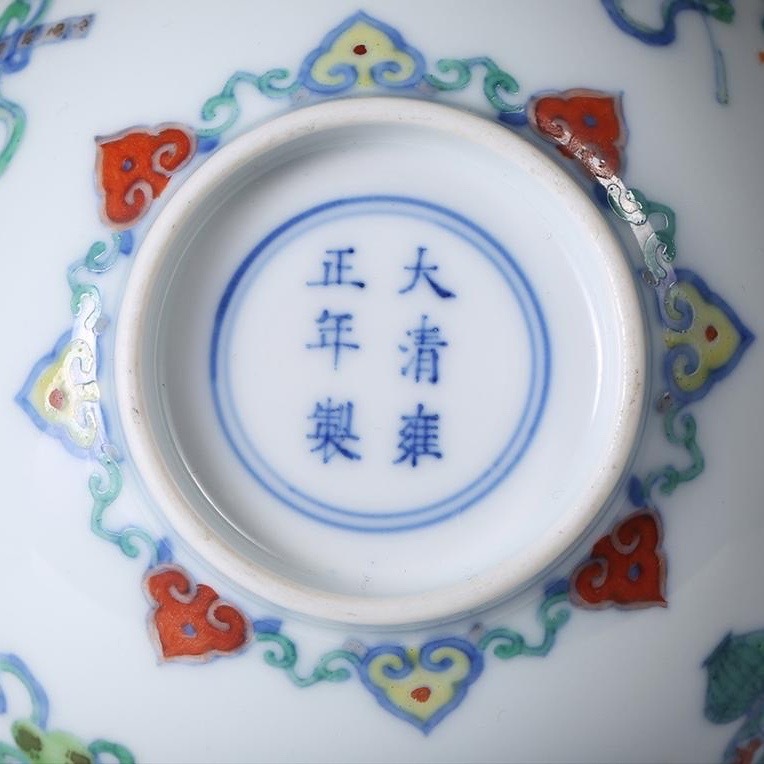 His reign was the foundation for more than a century of political and economic stability in China leading to large growth in artistic production. Differences in the color of cobalt are evidence of differences in time of production. The Yongzheng Emperor ascended to the throne as a result of his father’s wishes made on his deathbed. 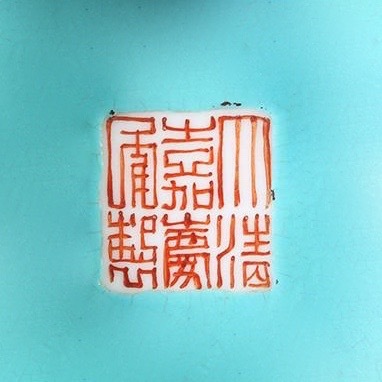 The Yongzheng Emperor was a lover of art, and he also grew the state treasury to greater heights than that achieved by his father the Kangxi Emperor. Taking into the Qianlong Emperor’s 3 years as the Emperor Emeritus after his retirement in 1796, his reign surpassed that of Kangxi’s reign in length. Excluding Genghis Khan’s incredible empire China achieved its greatest geographical size under the Qianlong Emperor. His love of art and his works in this capacity were incredible and economic and cultural growth in his reign was great. 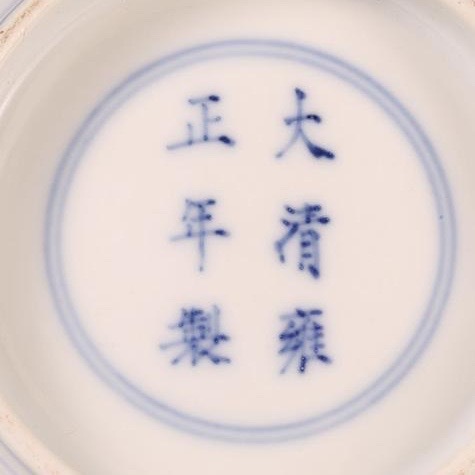 By the end of his reign, China began to experience troubles due to corruption and poor management; this led to the ultimate decline of the Qing. 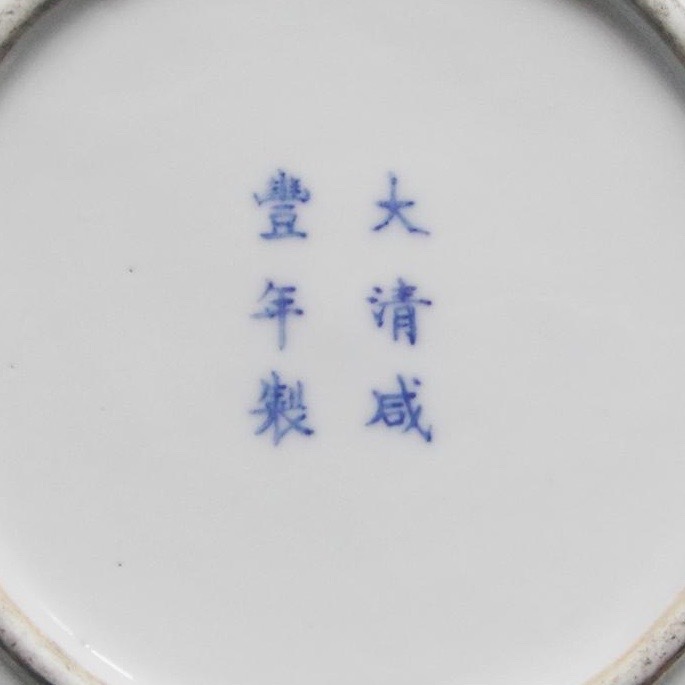 A common mistake made in underglaze blue Qianlong six character marks is visible on the bottom left character, on the modern piece there are only three prongs while on the period piece there are five. This does not always signify authenticity. 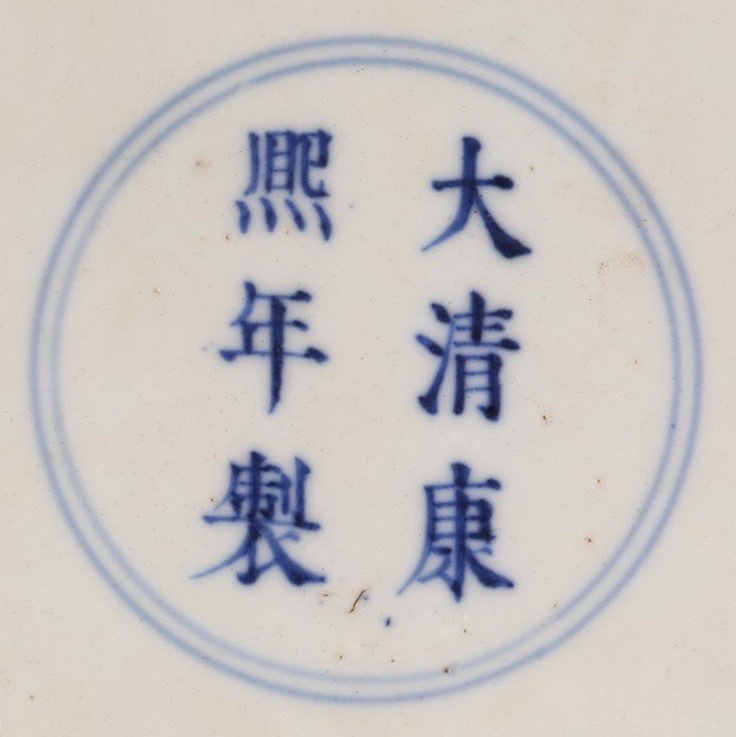 Son of the Qianlong Emperor, his efforts to reverse the corruption in the Qing Dynasty included attempts to ban the importation of opium into China. Economic decline was a marker of his reign. Notice the difference in the quality of the painting. 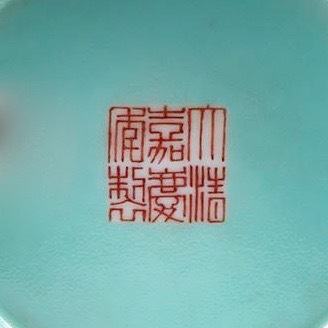 While strong lines and consistent color are traits of the real Jiaqing mark, the opposite is true of the Republic piece. Continued his father’s efforts against the illegal opium trade, ultimately leading to the First Opium War (1839-1842). Of note are the differences both in quality as well as in color palette in both cobalt blue marks. Continued internal and external forces led to a further decline, amongst these were the Taiping Rebellion (1850-1864) and the Second Opium War (1856-1860). The geographic borders of China continued to shrink. 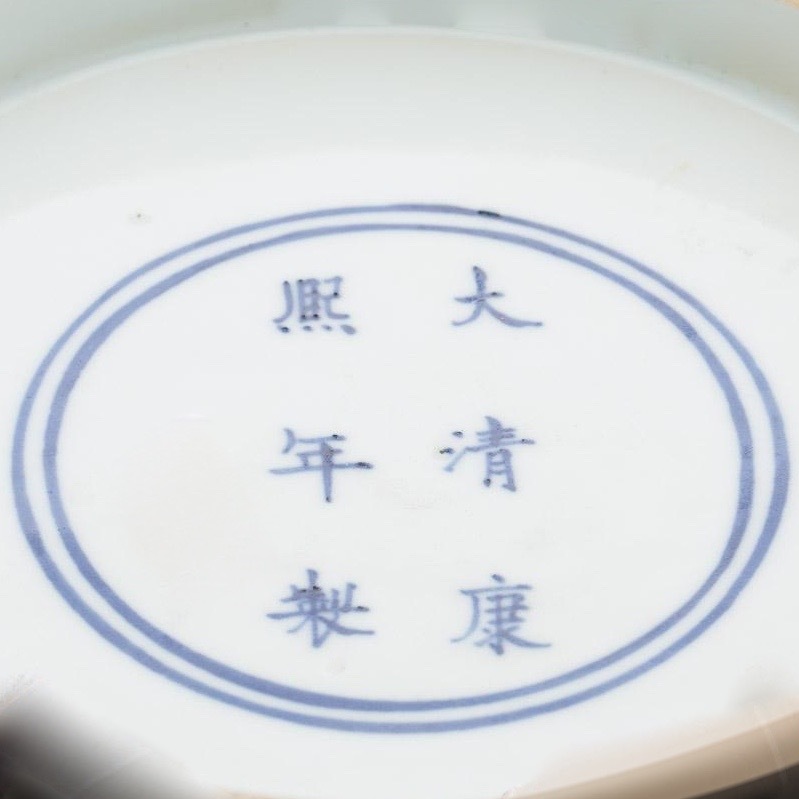 The only son of the Xianfeng Emperor, Tongzhi ruled in name alone with the true power being held by his mother the Empress Dowager Cixi and Empress Dowager Ci’an. 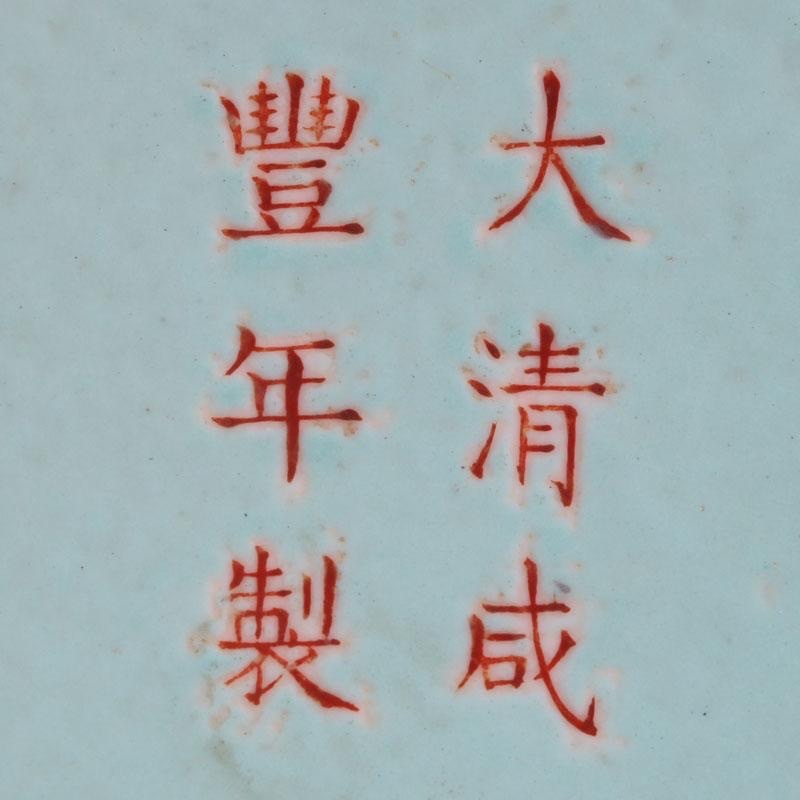 Tongzhi Emperor died without an heir. The nephew of the Tongzhi Emperor, the Guangxu Emperor ruled as a figure head with the Dowager Empress Cixi the real power behind the throne. When attempting to reform China’s ruling system the Guangxu Emperor was placed under house arrest and ultimately, it is believed, was murdered with arsenic. 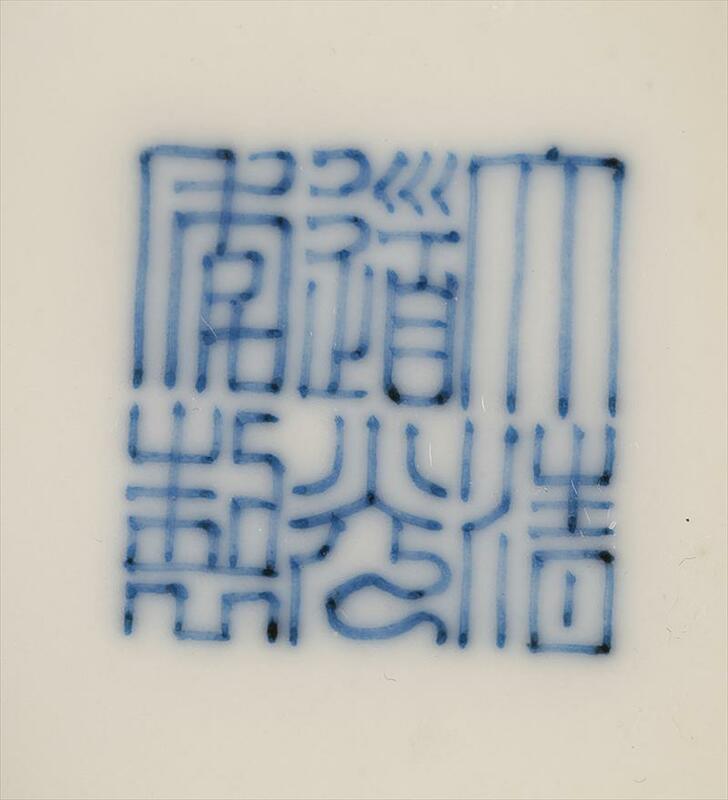 To the untrained eye these two marks appear identical; for the beginner, and the expert, it is essential to read a mark as part of a whole and examine the piece overall. The Xuantong Emperor ascended the throne when he was almost three and the Qing was overthrown on February 12, 1912. Known as Puyi there are many books and movies detailing Puyi’s transition from Emperor of the Qing to a citizen of the People's Republic of China.